The Man Size Cadbury Lunch Bar is presented as shark bait in this print advertisement from South Africa, released in 2009. Perhaps it’s a useful symbol for the proposed Kraft takeover of Cadbury! 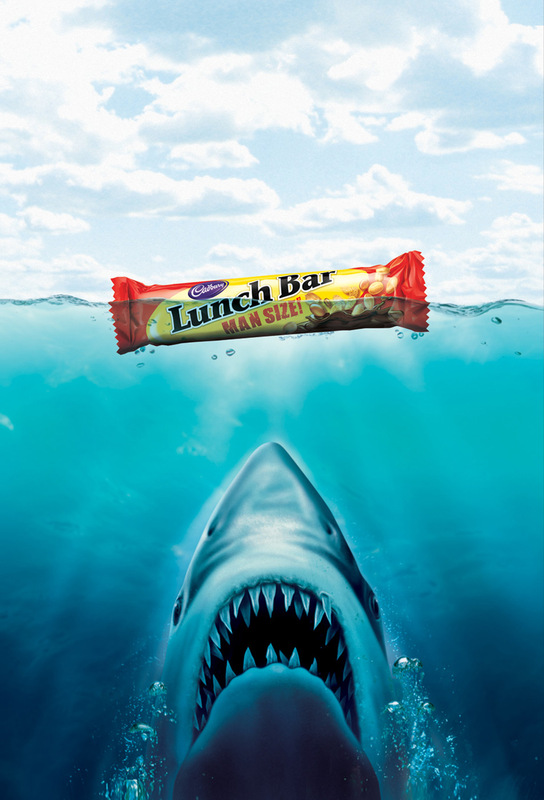 We’ll be featuring a range of Cadbury advertisements over the next few days so come back for more. The Jaws ad was developed at Publicis, South Africa, by creative director Kady Winetzki, art director Chris Lesser, copywriter Paul Burgess, illustrators George Greyling and Julian Dowla.